Love to ride a bike? Here’s a necklace to show your passion. 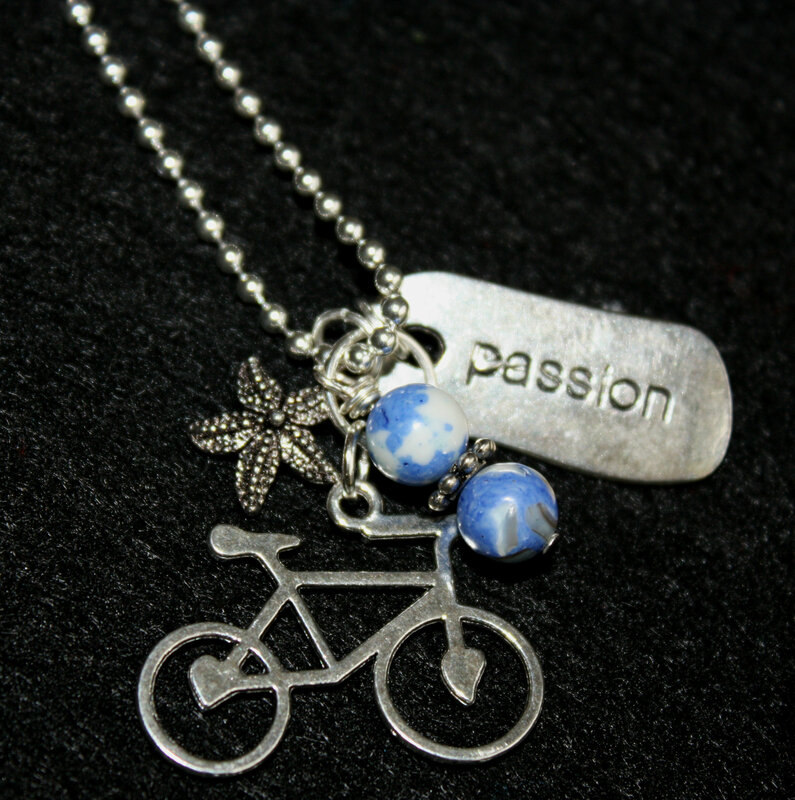 Beautiful silver bike charm, a passion tag and starfish because living and cycling near the beach is a passion too! All accented by pretty blue marble stones on a 24″ ball chain. Choose a different color crystal/stone in the options. Love to ride a bike? Here’s a necklace to show your passion. 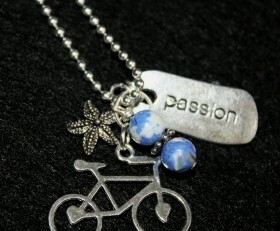 Beautiful silver bike charm, a passion tag and starfish because living and cycling near the beach is a passion too! All accented by pretty blue marble stones on a 24″ ball chain.